Hello, and welcome to A Visit to Diagon Alley! If you can't tell by the title, this class will be taking a tour of Diagon Alley, perfect for the start of a new term at Hogwarts. A little about me, my name is Prof. Rorey Padfoot and I am the Hufflepuff Co-Head of House. This is my 13th year at HOL and I am a super proud Hufflepuff! I hope you enjoy the tour and make sure to bring some money so you can grab some fun stuff. Feel free to introduce yourself to the other class members here and tell us what other classes you have decided to take and why you chose A Visit to Diagon Alley. This is the thread you will write your Extra Fun Part 1. I am enjoying our group field trip to Diagon Alley, and it was so neat to see a central hub spot that brings the muggle world and the wizarding world together. I look forward to going to each of the different shops; I still have a few things I need to pick up for school. I need a Standard Size 2 Pewter Cauldron, The Standard Book of Spells, Grade 1 and I want to bring a Cat with me. I look forward to meeting everyone in class, and around HOL. Hello. My name is Alexander Brighton (but you can call me Alex) and I am a third year Ravenclaw student. This term, I am also taking Braille: The Basics, Astronomy, The Unforgivable Curses, and Magical Beings. I chose this class because it looked like a really fun class and I get to learn more about my favorite alley. I believe a few things I would need to buy for school this year would be the Monster Book of Monsters (always wanted that), The Standard Book of Spells, Grade 3, Intermediate Transfiguration, and a signed Hogsmeade letter (although I can't buy that). This is going to be a great year and a great term. My name is Janie Peterson and I am a second year Ravenclaw! I am looking to excel at my classes this year and am currently only enrolled in two: A Visit to Diagon Alley and Tour of the Common Rooms. I would like to eventually enroll in a couple of more within the next few days but I have yet to take a look at what else is being offered. 1. A planner to keep track of everything that I have going on! I like to keep my school year busy. 2. Fresh robes - nothing makes me feel better prepared for a new year! "New year, new me." 3. Plenty of snacks! I tend to require tons of energy and little snacks help me stay energized throughout the day. Hello everyone! My name is Iverian Gnash. I just started here. I am a first-year. I enjoy playing the piano and my favorite sport is obviously quidditch, which I play with my five siblings. For the first day of class I will definitely need a planner, so I can organize my schedule, various quills with different colored ink, so my assignments can be colorful , and a puzzle book (preferably Sudoku's) to occupy my free time. I'm so excited to start! 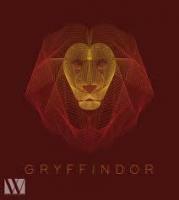 I am a second year Gryffindor, returning to HOL after many years. Even though I come from a wizarding family, I take interest in many aspects of Muggle culture and especially enjoy Muggle popular music and dance. I also enjoy using this fascinating device Muggles call a computer which allows me to stay in touch with some of my Muggle-born friends who cannot use owl post in their surroundings. Since my old pewter cauldron is a bit rusty, I will definitely need a new one. So that is one thing I am certainly bringing with me. Unfortunately, electronic devices do not work at Hogwarts but I will still bring my own "laptop" and try to make it work somehow. Finally, being the second year, I am finally allowed to bring my own broomstick, so I can play Quidditch about which I am very excited. I'm happy to be attempting this group tour (again). I have been on the Visit to Diagon Alley before, however, I wandered away from the group and got lost down Knockturn Alley. A witch tried to sell me a bunch of goblin fingernails and I fainted looking at them. When I woke up I was in St. Mungos! Can you imagine?! So on my (second) tour of the shops, there are a few things I need to start off my fourth year at Hogwarts. I need the standard ingredients to refill my potions set, the Standard Book of Spells for Grade 4, I need a few new quills, a new bottle of ink (I prefer the color green), some wart cap powder (don't ask because I won't tell), and probably a new set of robes since I've grown two inches and gained a stone over the summer (which I spent in Italy, pasta, you know). My name is Gladymar Rivera-Virella and this is my first year at HOL. I belong to the Hufflepuff house and I have enrolled in five courses during this term. One of my passions is to read about magical creatures and would love to be able to see a Hippogriff. Some of the things I may need during my first thing at Hogwarts is a wand, a telescope, an owl, and a couple of books such as the Standard Book of Spell (grade 1). My name is Autumn.Not much to say about myself, I'm a rather shy person, so starting conversations with people isn't easy for me.Now we all need the standard equipment, but for me I need to bring some personal items with me.Hmm, I enjoy reading and writing, and taking photography, so I for sure would need to bring my camera with me.My family is huge part of my life, so I would bring notes and envelopes to mail letters.I'm old fashioned and still enjoy doing the mail the muggle way lol. And the third item I would bring would be my locket from my grandma who passed away a couple years ago. Hello! My name is Sloane. I'm a first year Ravenclaw and I'm very excited to head to Diagon Alley with the lot of you. I'm interested in taking as many courses as I can here at Hogwarts. While I'm shopping today, I'm hoping to pick up the standard supplies - including of course a cauldron, new robes, and a cat. I must have a cat to keep my company as I burn the midnight oil doing my assignments. I'm also hoping to make a side trip to Knockturn Alley. I'll likely not buy anything there, but I've heard its a rather interesting place full of interesting things to see - even if some of them are dark objects that I'd not have anything to do with. Last edited by Start Light on Thu Nov 01, 2018 2:43 am, edited 1 time in total. I'm a first year, and my name is Adanys, pronounced uh-dan-iss. I'm currently taking HOL 101 and A Visit to Diagon Alley. If time permits I might join another class for this term, we'll see. I haven't got all my supplies yet, still need all the basic items of a first year minus the books. The bookstore was the first place I went. Next I'm going to fetch a wand, some robes, and a quality quill. My parents gave me some extra spending money and I want to use it on a good quill and ink. I intend to do well in my classes and turn in clean homework, and I believe I need an excellent quill for that. I’m Polaris Black, sixth year Ravenclaw and Head Student. When I get to Diagon Alley, I must go to Eeylops Owl Emporium to purchase a large supply of Eeylops Premium Owl Treats for Howland, my pet owl. Since I am taking Astronomy this year, I need to go Twinkle Telescopes to upgrade my old brass telescope and Wiseacre's Wizarding Equipment to pick up some moon maps and star charts. I also want to buy a collapsible cauldron at Potage's Cauldron Shop for another course, The Magic of Forensic Science field trips. And of course, I must pick up Miranda Goshawk’s The Standard Book of Spells, Grade 6 along with five other required textbooks at Flourish & Blotts! Hiya! I'm Bianca Delacroix, a fourth year Slytherin. I think this is either the second or third time I've tried to take this class but I am probably the world's worst student, always have been and I'm afraid to say I may always will be. I am a terrible procrastinator and it is really the one trait that I dislike about myself. I would say that I should make a New Year's resolution to deal with my time management skills but I'd just be perpetually making that same resolution considering I most likely wouldn't start to address it until December each year. Anyway, I love to read (fiction, science, science fiction, lol, actually I'm not too specific but the one thing I do is forgive myself if I don't want to finish a book in it's entirety. I think reading is meant to be enjoyed and sometimes you start a book that just falls off towards the middle and I don't like to be forced to swallow it anyway, I'd rather just sit it down and start the next prospect), I love to travel (I have two trips planned so far this year; Italy and Ireland. One in the spring and one in the summer) and to learn languages (I speak French, Spanish, & English is my first language. Right now I'm learning/practicing Italian for my trip coming up soon). Oh and I like to talk a lot, did you sense that? As a fourth year student, I'd say that the three things I will need to start the school year, well probably more like the second session at this point, will be a more dedicated school attitude, I'll need my wand for certain, and maybe I'll bring a new pair of dragon hyde gloves because my old ones have holes and my favorite subjects are potions and herbology and I'd rather not have my hands come into contact with anything potentially harmful. Nice to meet everyone! Hello! im Umokuro Scael! im a full blood and only taking two lessons, a visit to daigon alley and the orientation class,I really want to be part of care of magical creatures. I need a pewter cauldron, some candies or a new telescope, and probably a book, or two, or three. I would also like to get an owl, and maybe books, like Quidditch through the Ages. Hello, my name is Heather Long, and I am a first year Slytherin, I am taking 5 classes this term, and I am excited to finish my classes with passing grades. I work for dominos, I like my job when I am making money, but when it's slow, I hate my job. I love aminals, I have a lab, and a great Dane mix, also a sheltie (mini lassie). My birthday is on Dec 17th, I am 34yrs old, and I am also single. I have an associate degree in Medical Assistant, and I am taking a HealthCare Management bachelors degree. I went to school to learn how to work on cars, I am almost finished with my associate degree in that field as well, but money is the issue. 4- History of Hogwarts (Once I am approved). 5- Defense Against of the Dark Arts (Once I am approved). Hello! I joined A Visit to Diagon Alley because I wanted to buy new things for the term and wanted to learn more about all of the shops there. I just think it is so cool how the shops are created and have the magical supplies! My name is Alice Dreamette and I am a first year Ravenclaw. I am currently taking the following classes. As a first year the list of items I would need with me at Hogwarts would be pretty basic. The first would (obviously) be a wand. A few new quills accompanied by a good supply of ink and ample pieces of parchment. Although most might no consider this as mandatory, I personally would need to purchase an owl. It would make it easier to send letters back home as opposed to picking out out in the owlery. And if I don't contact my mother for too long I'll end up with a howler. Hey! My name is Ingvild Ogden and I am a second year Hufflepuff student. I just came back from The Leaky Cauldron and thought I'd introduce myself. I am currently taking three classes. They are Herbology, Knitting the muggle way, and of course, this one. I'm really looking forward to all my classes. This year I have a few essentials I need to bring to school. My wizards chess sett, my broomstick, and of course my beautiful black cat, Emma. Welcome New Students to the Diagon Alley! Hi my name is Selenophilia Moon. I am a first year Hufflepuff at Hogwarts. I look forward going shopping in the different stores at Diagon Alley. I think it is cool how we have to go through a pub to get to the Diagon Alley to shop. I am taking five classes this semester and they are: A visit to Diagon Alley, History of Hogwarts: the Castle, HOL 101, Herbology, and HOL Quidditch. I look forward in meeting my classmates and staying with the group so that I do not get lost in my world looking at the shops and exploring them, I do not want to get left behind. l like swimming, reading, dancing , and cooking. I watch television at night to relax. I like to dance and listen to music. I am looking forward for this adventure and exploring.